A hair straightener is a tool that can be found in almost every girl’s wardrobe. However, using a straightener can leave your hair damaged and dry. That is why you need natural ways to straighten hair. But, do you know how to straighten hair without a flat iron? Though a hair straightener can fulfill your dream temporarily, it causes serious damage to your hair in the long run. The problem, however, with using these artificial methods of hair straightening is that they dry out your hair, cause split ends, make your hair fragile and prone to breakage. The heat from the straightener can weaken your hair’s cuticle, which protects it from damage. It can also sap hair of moisture and cause it to become frizzy and dry leaving your hair looking limp and lifeless. Once this damage is done, it is difficult to regain the glossy and natural mane you once had. Fortunately, there are some hair straightening tips that will teach you how to straighten your hair naturally with ingredients that are readily available in your kitchen. Not only will these straightening hair tips tame your hair, they will also nourish them and make them look shiny, healthy and voluminous. These hair masks have plenty of other properties beneficial for your hair and no side effects and are the perfect answer to how to get straight hair naturally! 1. How to Make Hair Straight Naturally? While it is easy to get wavy hair without heat, regular hot oil massages proves to be one of the easiest ways to straighten your hair without a straightener. It is suitable for all hair types regardless of your texture or condition. Heating the oil works wonders as it relaxes your scalp and hair by penetrating the hair shaft. It is utterly satisfying and luxurious. 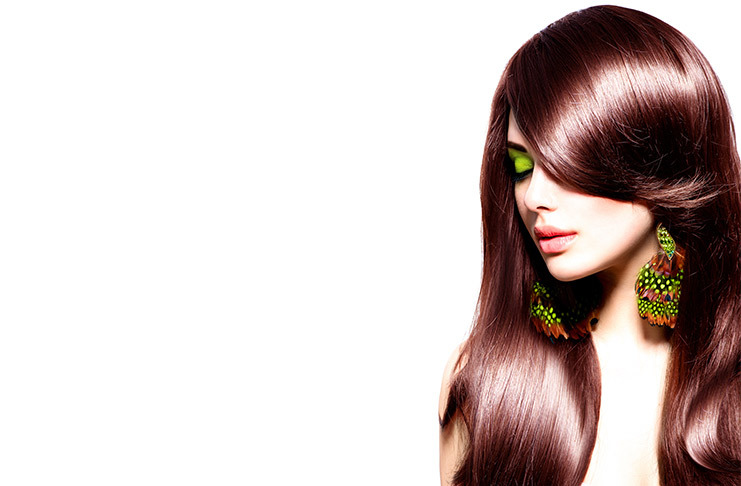 You can use any hair oil of your choice that suits your needs. The oils you choose will infuse into your hair strands with much-needed moisture and strengthening compounds, helps you cure frizz and smoothing out your split ends. Slightly heat the oil you wish to use on a microwave or gas stove. Apply the warm oil to your hair and give a good massage to your scalp. Use a wide tooth comb to thoroughly distribute the oil. Soak a towel in hot water and cover your hair with it for 30 to 40 minutes. Wash off the oil with a shampoo. Also Read: 12 TIPS TO LONG HAIR AND FAST GROWTH!! Eggs are an abundant source of proteins, vitamins, and antioxidants. These supplements are exceptionally valuable for your hair. A good hair mask made with a combination of eggs and olive oil can do wonders for your hair. These tips for straightening hair naturally also helps nourish your hair, reduces hair fall, and if used about once every week for a month will even help straighten natural hair without frizz. Mix 4 tablespoons of olive oil with it. Apply this mixture on your scalp and cover each hair strand. Leave it for 45 minutes and wash your hair using a shampoo. Aloe vera is rich in amino acids and proteins which are a boon for healthy hair. It cleans, nourishes, protects your hair from damage and gives it a straight texture. These natural hair straightening tips will keep your hair hydrated and moisturized and eliminates dandruff. Aloe vera gel is readily available in the market or you can obtain it naturally from the plant. Use an aloe vera mask about twice every week as a natural way of straightening hair. Take half a cup of aloe vera gel and some olive oil. Massage the pack into the scalp and hair evenly. Leave it for 2 hours, for the mask to soak into your hair. The mixture of coconut milk and lemon works as a deep conditioner for your hair. It nourishes your hair and laden it with the much-needed moisture. It makes your hair smooth, frizz free and straight. Applying the mask weekly will give you consistent results. Add the juice of a lemon to 1 cup of coconut milk. Coat your hair strands with the mixture. Use a wide tooth comb to evenly distribute it through your hair. Wrap your hair with a warm towel. Leave the towel on for atleast 15 minutes. Wash your hair with your usual shampoo and conditioner. Also Read: REDEEM YOUR OILY HAIR WITH THESE HAIR SERUMS! Beer is rich in vitamins, antioxidants and has a high silicon content. It is an excellent treatment for your hair and will keep it strong and sleek. Beer helps to restore the natural shine of your hair and induces hair growth. It is a safe and simple procedure for hair smoothing naturally at home, and is free from all side effects. Wash your hair with your regular shampoo but instead of using a conditioner, wash it with beer. Rinse your hair thoroughly with the beer and also massage it into your scalp to improve blood circulation in the head. Leave it covered with a towel for 30 to 45 minutes. If You’re wondering how to make your hair straight or how to straighten your hair without heat, then look no further! Bananas are not just delicious and healthy fruits but they are great for your hair too. 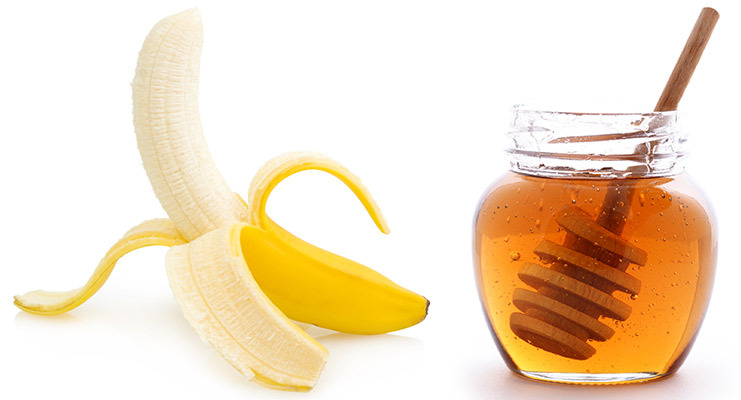 Enriched with lots of antioxidants and vitamin C, this pack consisting of banana and honey can give a natural shine to your dry and dull hair and eventually straighten it out. It makes your hair super soft and smooth right from the first wash. Use this mask every week to straighten your hair without heat. Take a ripe banana and put it in a blender. Add 1-2 tablespoon of honey. Slather this mash through your hair, especially on the tips of your hair. Rinse it out with warm water using your regular shampoo. Also Read: 23 WAYS TO CURE HAIR FALL PROBLEMS! Mix a cup of water with 2 tablespoons of brown sugar and pour it into a spray bottle. Spray into damp hair and let it air dry. It will keep your hair untangled, moisturized and make your hair look straight. After shampoo and conditioning, wrap your hair with a good satin scarf and leave it on till your hair dries completely. Take off the scarf and gently comb your hair, your hair will feel soft and smooth. Divide different sections of your hair, and wrap aluminum foils in each section (flat) and leave it overnight. When you wake up, take off the aluminum foils and comb your hair with a good hair brush, your hair will look naturally straight. I still think it’s funny: Those with curly hair want theirs straight, those with straight hair want it curly, those with long hair want it short, those with short hair want theirs long, those with no hair just want hair while some with hair shave their heads.